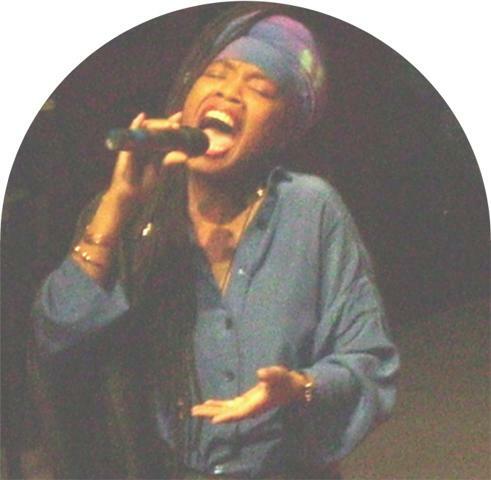 Sun, Feb 24- Imani VENDS at these EVENTS! 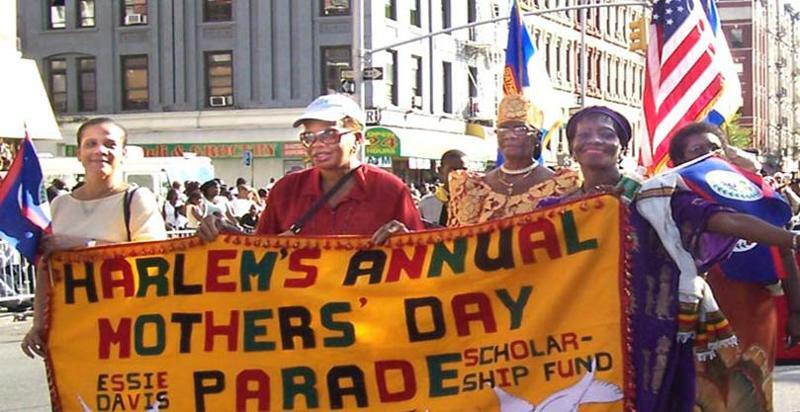 On Sun Feb 22, Come stop by the NAT'L BLACK THEATRE for these great EVENTS & visit Imani's Creations vendor table for your special African Heritage supply of healing Crystals/Gemstones, beautiful Cultural Jewelry, Greeting Cards & empowering Gifts!!!!! 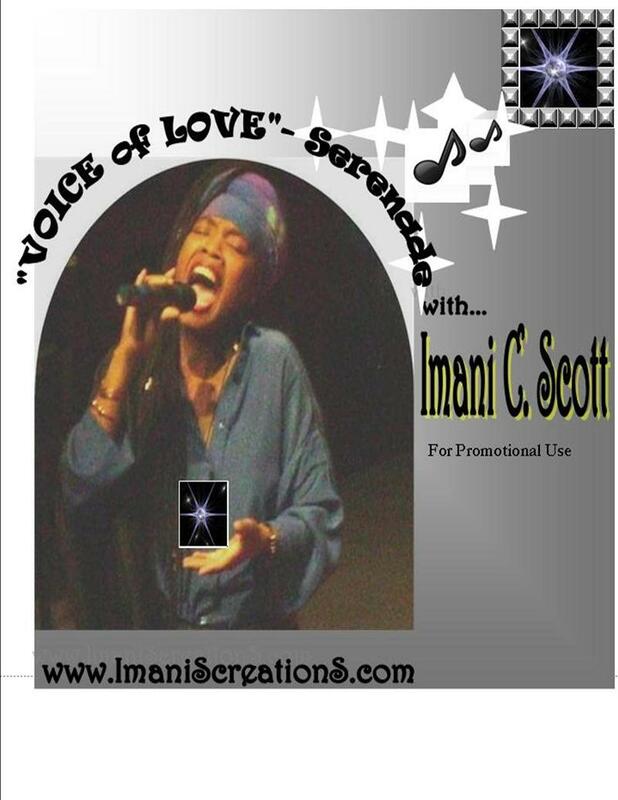 Sat 9/20 Imani C VENDS at FOOTBALL CLASSICS 2014! On Sat, Sept 20, will you be at the NY Urban League FOOTBALL CLASSICS 2014?! Howard U -vs- Morgan State U game will be off the chain and the parking lot jumping!! 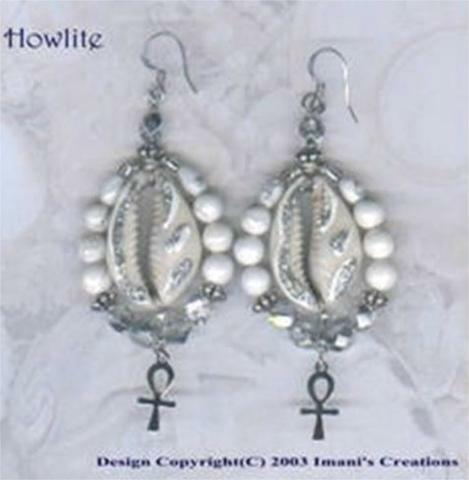 So COME visit Imani's Creations in the VENDOR VILLAGE at MetLife Stadium, New Jersey! BOOTH# 315-17! 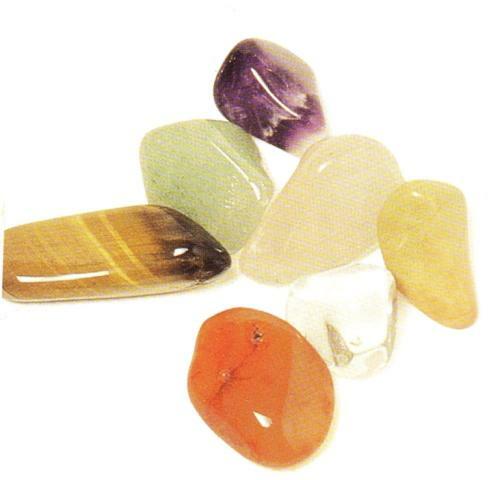 Get your CRYSTALS/GEMSTONES for Autumn (Fall) Season of TRANSITION & CHANGE! 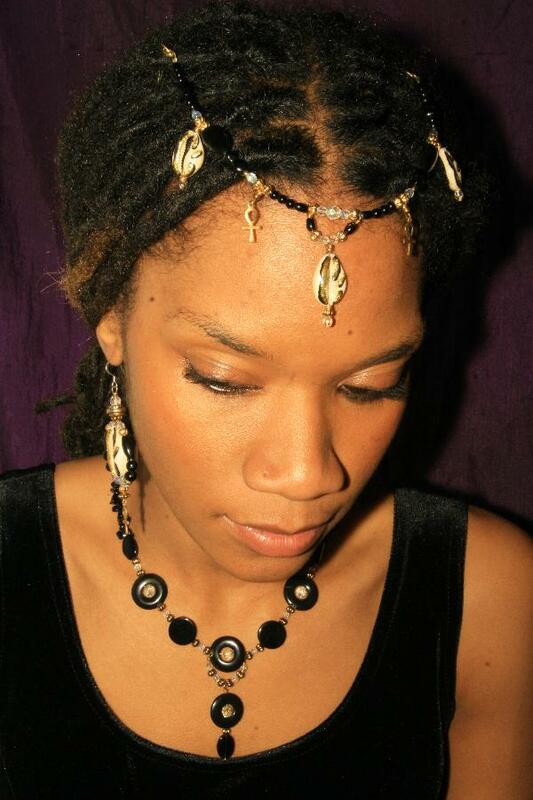 IC Beautiful Gemstone & Cultural JEWELRY, Souvenirs & Black Memorabilia's, Dresses, Books & MORE! 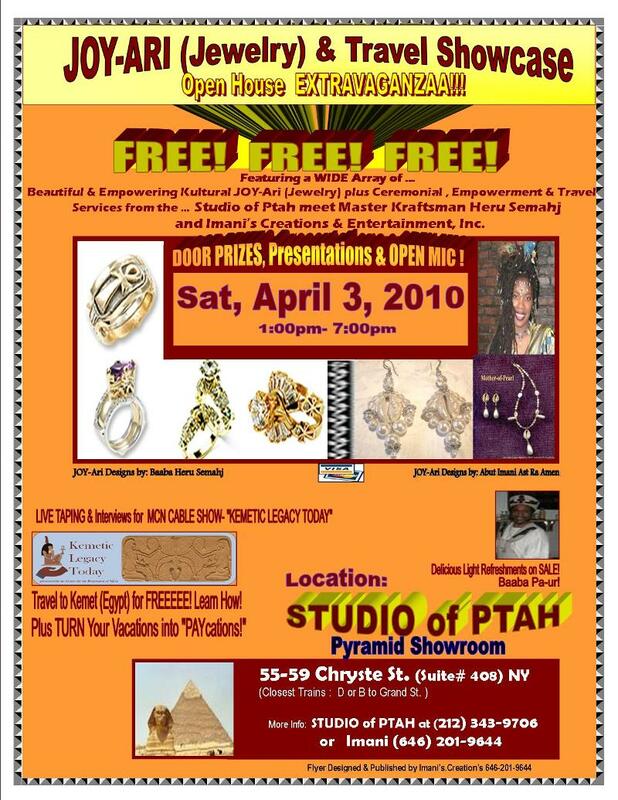 Sun, 4/6/14 Imani's invite to Roc-A-Natural- Expo! Come JOIN US Sun, 4/6/14 for the Roc-A-Natural HAIR, HEALTH & BEAUTY- "TRANSFORM YOUR LIFE" EXPO 10AM-8PM at the Schomburg Ctr, Harlem, NY. Imani's Creations & Entertainment's JEWELRY & ACCESSORY line will be a featured Designer with the "Unveiled & Unlocked" Collective founded by Alethea Brown who will be a Guest Speaker hosting a Panel Talk "BEAUTY is DEEPER than SKIN!" Workshop 3:00pm-4:00pm! panelist include Carla S. Brown, Charnae Betton, Gene Alexander Peters, Deborah Gray, and Kofi Afful. Also the NATURAL HAIR FASHION SHOW 6PM- 7PM will feature Imani's Creations Jewelry adorning the Bare Head Beauties- Unveiled & Unlocked!!! 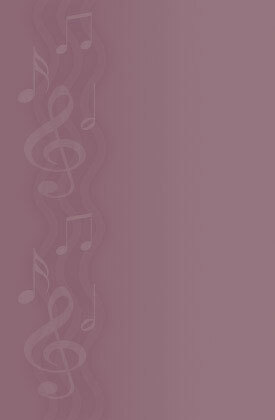 For More Info & Tix Visit: http://www.rocanatural.com/ with Carla Brown and Aleathia Brown. 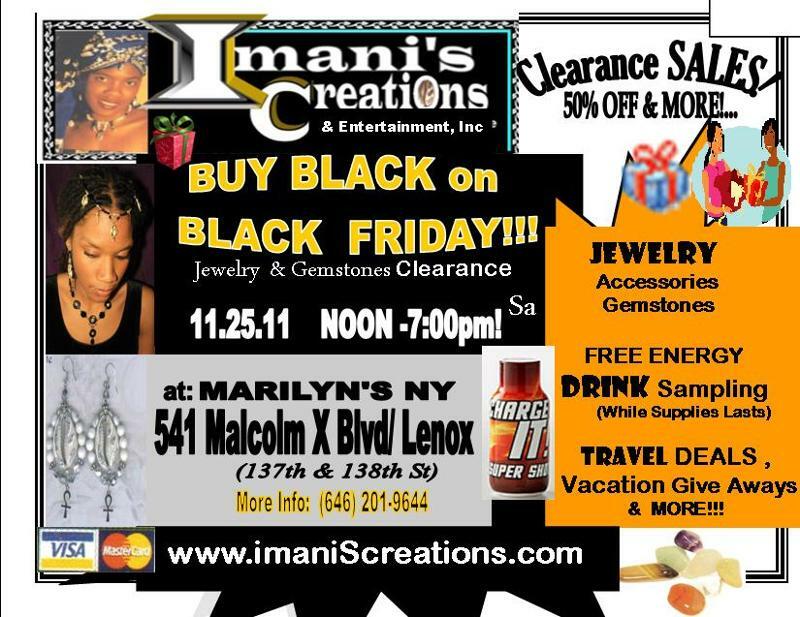 Imani's "GEMSTONES from AFRICA Exhibit" in Harlem, NY! Imani's Creations presents a mini BLACK HISTORY MONTH SHOWCASE featuring a week long EXHIBIT of Imani's "GEMSTONES from AFRICA!" 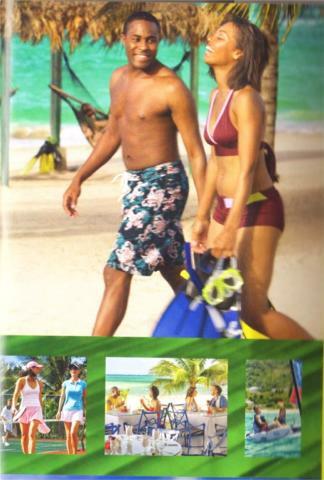 Feb 22-thru-March 1, 2013! Location: MARILYN'S NY 541 Malcolm X Blvd (137 & 138th) Daily 11AM- 7PM. Special Demos on Fri 2/22 & 3/1 6:30PM-7:30PM! From Gemstones in JEWELRY to COMPUTERS...Come be Enlightened on a array of ways to UTILIZE these Semi-Precious JEWELS! 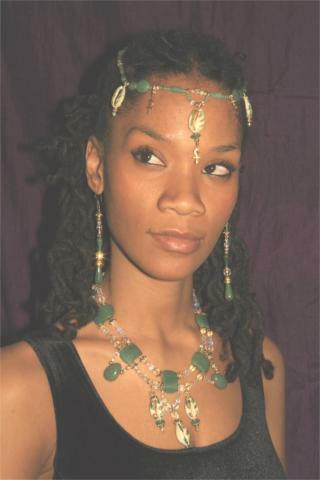 How to effectively ADORN, BEAUTIFY & be ENRICHED with these sacred Treasures & timeless Knowledge!!! 11/25- BUY BLACK on BLACK Friday 2011! w/ Imani's Creations- at MARILYN'S NY! BUY BLACK on BLACK FRIDAY! BLACK FRIDAY CLEARANCE SALES & MORE! packages SALE up to 60% off! regular price: $2 to $6- per Stone! 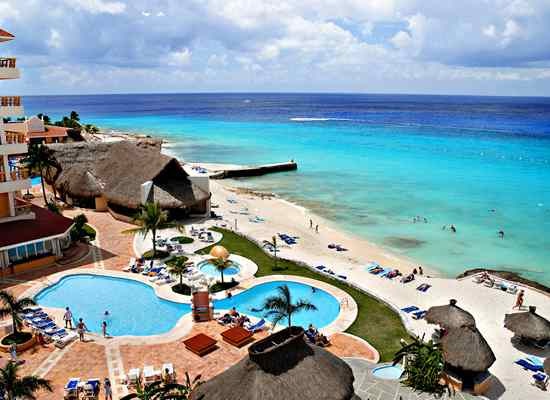 SUNNY- Jamaica, Bahamas, Mexico, Las Vegas, Hawaii & Florida, MORE! 11/25- BUY BLACK on BLACK Friday! w/ Imani's Creations- at MARILYN'S NY! 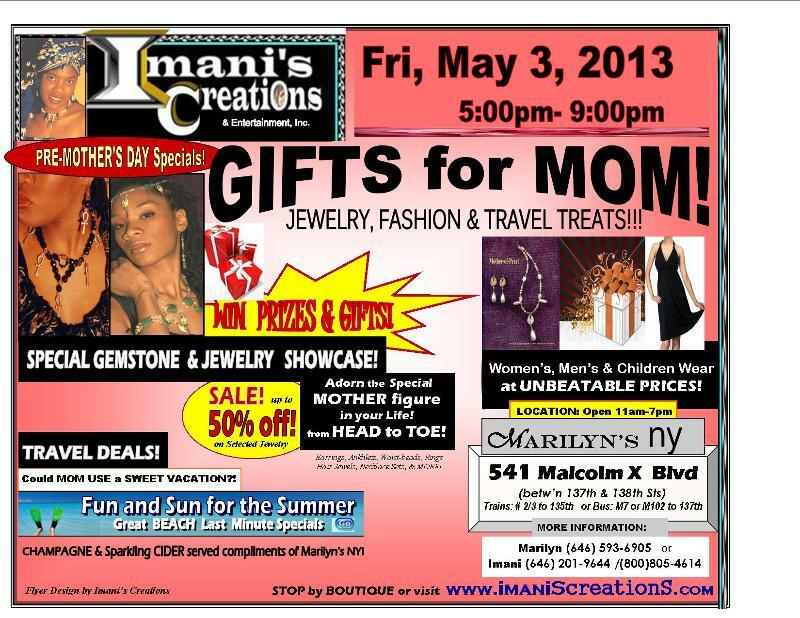 Imani's Creations Gemstone JEWELRY now @ MARILYN'S STORES! 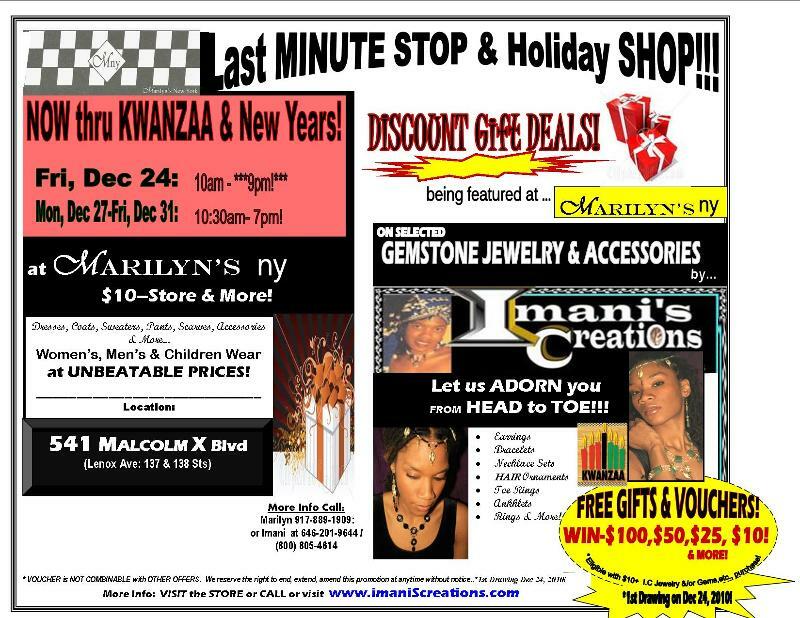 Imani's Creations Gemstone JEWELRY now @ MARILYN'S STORES at TWO Locations!- info attached below! Special Jewelry Showcase Reception to be announced! Bring a copy of the Coupon flyer below & recieve 10% of your purchase over $10- ! 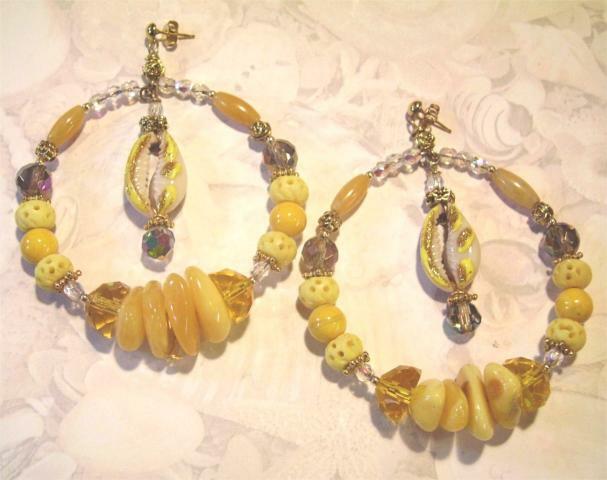 Now through July 31, 2010 & also be eligible to WIN a Gemstone Bracelet & Earring set or a $25- or a $50- Gift certificate from Imani's Creations & Entertainment, Inc.
CLICK to SEE more Jewelry Selections from Imani's Creations Exclusive Gemstone Collection!